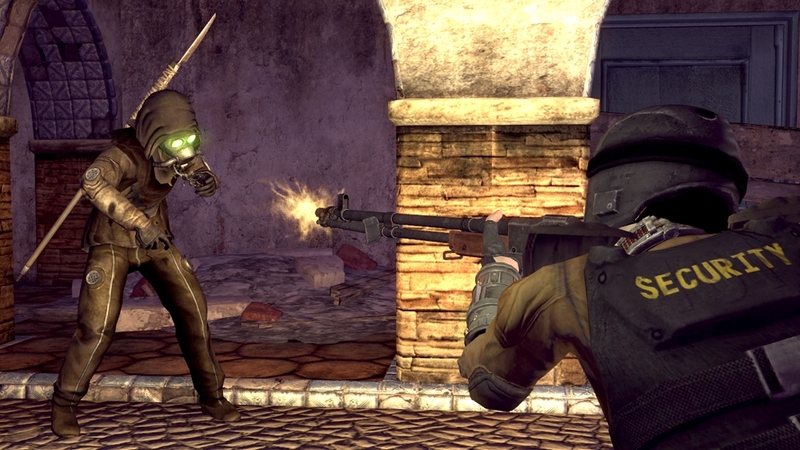 Check out the New Content for Bad Company and New Vegas! "Battlefield: Bad Company 2 Vietnam is a content-heavy expansion for the game that has sold more than 5 million copies and has been called "a better game than Call of Duty: Modern Warfare 2" by The New York Times. At the heart of this expansion lie four distinct, brand-new multiplayer maps based on the Vietnam War. Each map brings a new gameplay experience and fresh visuals, with characteristics such as foxholes, tunnels and dense jungles from where the enemy can launch surprise attacks. 15 weapons and 6 vehicles from the Vietnam War era are available from the moment you go online. Requires the latest multiplayer update." "Welcome to the Sierra Madre Casino! The casino’s mythical contents are lusted after by desperate wasteland scavengers, who tell stories of intact treasure of the old world buried deep within its vault. Lured here by a mysterious radio signal advertising the long-awaited grand opening of the casino, you are thrown into a high stakes game where you’ll have to work with three other lost souls if you want to survive."